Various complications are associated with adhesion formation, including small bowel obstruction, infertility and chronic pelvic pain. Increasingly, an understanding of adhesion formation as a complex process influenced by many different factors has led to various conceivable anti-adhesion strategies. At present, a number of different anti-adhesion agents are available. Although some agents have proved effective in reducing adhesion formation in randomised controlled trials, none of them can completely prevent adhesion formation. To fulfil our duty to provide best possible care for our patients, it is now time to regard adhesions as the most common complication in surgery. Further research is needed to fully understand adhesion formation and to develop new strategies for adhesion prevention. Large clinical efficacy trials of anti-adhesion agents will make it easier for surgeons to decide which agent to use in daily routine. In abdominal and pelvic surgery, adhesion formation must be regarded as the most common postsurgical complication occurring after 60–90% of procedures [1, 2]. There is a long list of adhesion-related consequences ranging from small bowel obstruction (SBO) to considerable costs for the health care system. In the past, the Surgical and Clinical Adhesions Research studies (SCAR studies) demonstrated that adhesions are an important issue for the patients and a mounting burden on both the health care system and the surgeons who are faced daily with the treatment of adhesion-related complications [3, 4, 5]. In view of the importance of adhesions, more and more research has been performed over the last decades, and our understanding of the complexity of adhesion formation has increased considerably. Investigations into the molecular causes of adhesion formation have produced new concepts of adhesion prevention. New anti-adhesion agents have been developed and existing agents have been evaluated in randomised controlled trials or systematic reviews to validate previous data. In daily routine, it is more important than ever to be familiar with the complications associated with adhesions. The negligence suits against surgeons due to insufficient preoperative patient education are a problem which can affect every surgeon. Hence, in procedures associated with adhesion formation, surgeons should always inform their patients about the risk of adhesion-related complications. Not only as a precaution against negligence suits but also first and foremost to provide best possible care to our patients, we need to be fully aware now of the extent of the problem and adopt anti-adhesion strategies in our daily routine. The PubMed database was searched using the search terms ‘adhesion AND gynecology’, ‘adhesion AND (laparoscopy OR laparotomy)’ and ‘adhesion prevention’ with the limitation on articles published in English between 1990 and 2011. The Cochrane Library was also searched for the search term ‘adhesion’. Articles were included in the review if the title indicated any relevance to the topic. Statements in the articles were scrutinised by searching the corresponding articles listed in the references sections. The reference lists were also searched for relevant literature. Postoperative adhesion formation must be regarded as the most frequent cause of small bowel obstruction (SBO). The recurrence rate after surgical treatment of adhesive SBO is very high [6, 7, 8]. In subsequent operations in patients with previous lower abdominal or pelvic surgery, the risk of inadvertent enterotomy is another important consequence of adhesions. One study found that the overall risk for inadvertent enterotomy in patients with previous surgery is about 20%. During the procedure, patients with three or more previous surgeries had a notably higher risk of inadvertent enterotomy. This occurred in over 50% of the cases while adhesiolysis was performed and in 30% of the cases while the abdominal cavity was entered. Affected patients had higher postoperative morbidity and mortality due to inadvertent enterotomy, including small bowel resection, intensive care admission and a longer average hospital stay of 13 days. Therefore, identification of high risk patients and a systematic adhesion prevention strategy are needed to minimise the risk of inadvertent enterotomy in subsequent abdominal or pelvic surgery . Infertility is another important consequence of adhesions in gynaecology. Adhesions affect the interaction between the Fallopian tube and the ovary. The incidence of adhesions as a cause of infertility ranges from 20 to 40% [10, 11]. Although chronic pelvic pain is regarded as a consequence of adhesion formation, its true importance remains uncertain [12, 13]. Women with chronic pelvic pain treated by laparoscopic adhesiolysis compared with women treated with diagnostic laparoscopy alone experienced no significant difference in pain relief. Nevertheless, pain decreased after laparoscopy in both groups. Thus, the benefit of laparoscopic adhesiolysis alone in the treatment of chronic pelvic pain has to be doubted and the high reformation rate of 55 up to 100% after laparoscopic adhesiolysis must be taken into consideration when performing adhesiolysis alone to treat chronic pelvic pain [11, 14, 15]. Besides the adverse consequences for the patients, adhesions are also a mounting burden on the health care system. Based on the SCAR data, Wilson et al. estimated the cumulative costs of adhesion-related readmissions over a 10-year period to exceed £569 million. In Sweden, with a population of 9 million in 2004, the annual costs of adhesion-related SBO were estimated at €39.9 million based on study data or €59.5 million when using National Health Care Administration’s database . In the United States, the costs for adhesiolysis amounted to $1.3 billion in 1994 . Due to this great impact that adhesions have on patients, surgeons and the health care system, it is essential to understand how adhesions develop and what can be done at the present to reduce their occurrence. Adhesion formation is a complex process influenced by various factors and resulting in an abnormal deposition of fibrin. After trauma to the peritoneum, fibrin deposition occurs immediately, which is a normal process in peritoneal healing. Usually, there is a balance between fibrin deposition and fibrinolysis so that fibrin is degraded within a few days. However, if this process is impaired in favour of fibrin deposition, fibrin strands occur and stable adhesions are subsequently formed . There are numerous cytokines which influence adhesion formation both directly via the fibrinolytic system and by changing the peritoneal fluid and, hence, the peritoneal healing environment . Further studies into the molecular mechanisms of adhesion formation are essential to the development of future pharmacological anti-adhesion agents. To date, a number of studies have demonstrated the efficacy of various pharmacological approaches to adhesion prevention in animals [21, 22, 23, 24]. In humans, however, none of the promising molecular approaches have led to an effective pharmacological anti-adhesion agent [25, 26]. Further research into new uses of such pharmacological agents in humans is awaited. In addition to this purely pharmacological approach, other recent studies have revealed important co-factors which play a role in adhesion formation and could theoretically be targeted in daily practice. Several animal studies of adhesion formation have demonstrated a pivotal role for the carbon dioxide pneumoperitoneum in laparoscopy. The high pressure of the pneumoperitoneum leads to hypoxia in the peritoneal mesothelial cells . Hypoxia influences adhesion formation in different ways [28, 29]. Diamond et al. found increased proliferation and decreased apoptosis in fibroblasts from adhesion tissue compared to fibroblasts from normal peritoneum, where hypoxia leads to an increased rate of apoptosis. Hence, by influencing apoptosis and proliferation in fibroblasts, hypoxia in adhesion tissue during laparoscopy may be an important contributing factor to adhesion reformation after laparoscopic adhesiolysis . In a rodent model, hypoxia-induced adhesion formation was decreased by adding 3% oxygen to the carbon dioxide pneumoperitoneum . Laparoscopy was long regarded as less adhesiogenic than laparotomy due to its less invasive nature. Research, as noted above, offers an explanation why this hypothesis must be rejected, because the laparoscopic environment itself unfavourably influences adhesion formation. Another adverse effect of laparoscopy, apart from hypoxia, is desiccation of the peritoneum which is caused by the endoscopic light and dry carbon dioxide and increases adhesion formation. Using warm humidified gas to create the pneumoperitoneum could prevent this effect . The data comparing laparoscopy and laparotomy with regard to their potential for adhesion formation are conflicting. Whereas some authors confirmed that laparoscopy was less adhesiogenic than laparotomy, a comparison of the direct adhesion-related readmissions found no difference between laparoscopy and laparotomy [33, 34, 35]. However, as Ott expressed it: “less adhesion occurrence is still a significant level of adhesion occurrence” . 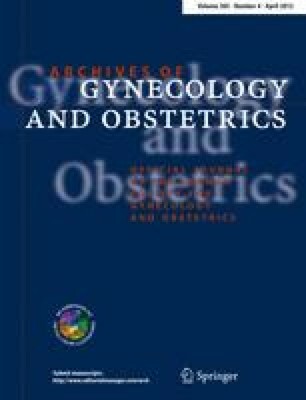 Regardless of whether laparoscopy or laparotomy is performed some gynaecological procedures are associated with a higher risk of adhesion development. Ovarian, endometriosis or tubal surgery, myomectomy and adhesiolysis are procedures which lead to more adhesions, whereas Fallopian tube sterilisation is associated with a low risk of adhesion development [35, 36]. Adhesiolysis is a frequently performed high risk procedure. The reformation rate of adhesions after adhesiolysis ranges from 55 to 100% with a mean incidence of 85% regardless of whether adhesiolysis is performed by laparoscopy or laparotomy . As noted above, adhesive tissue is quite different from normal peritoneal tissue and reacts differently to adverse influences like hypoxia. In this case, fibroblasts in the adhesive tissue proliferate, apoptosis of the cells decreases and molecules that influence the fibrinolytic system change so that fibrinolytic activity decreases. Hence, the high reformation rate of adhesions after adhesiolysis might be due to the modified reaction of adhesive tissue to adverse peritoneal environmental influences . Therefore, in high risk procedures like adhesiolysis a systematic anti-adhesion strategy should be used and complemented with an anti-adhesion agent. In most procedures, it is common to use electrocoagulation and often suturing is needed. In a rodent model, both techniques were identified as important co-factors in adhesion formation if electrocoagulation of the parietal peritoneum was used extensively. Suturing had an additive adverse effect and led to more adhesion formation even if only minimal coagulation was used . All the above-mentioned studies and their findings are of great importance and they underline the complexity of adhesion formation and highlight the influence of many different factors involved. Surgeons always be meticulous in their surgical technique and adopt the principles of microsurgery listed in Table 1 to reduce adhesion formation. In addition to adhering to the principles of good surgical practice, surgeons should educate themselves about anti-adhesion agents so they can safely use an appropriate agent in situations where high degree of protection against adhesions is necessary. The following sections give an overview of the most common anti-adhesion agents. Anti-adhesion agents should be used in operations which consistently lead to adhesion formation or adhesion reformation. They can broadly be divided into pharmacological and non-pharmacological agents. Anti-adhesion agents must always be used in combination with the principles of microsurgery and they are not capable of compensating for extensive tissue damage. Moreover, the available agents can only reduce adhesion formation; they cannot entirely eliminate their occurrence. In the last decades, considerable research has been conducted into the complex process of adhesion formation and various theoretical and experimental approaches have been investigated to develop appropriate pharmacological agents. Several such agents have also been studied in humans. A number of non-pharmacological agents were approved human use, some of which later had to be withdrawn from the market due to safety concerns or lack of efficacy . Hence, complete adhesion prevention remains an unsolved problem and the search for an ideal anti-adhesion agent is still ongoing. The following subsections provide a brief overview of previous pharmacological and current non-pharmacological anti-adhesion agents. Only a small number of pharmacological agents were ultimately tested in humans; most agents were only tested in animal models. The data from human trials are very limited and were mostly published 20 or more years ago. Based on these data, steroids and heparin cannot be recommended for the pharmacological treatment of adhesion formation, although initially both were promising approaches and were studied in humans. It was presumed that steroids would reduce the peritoneal inflammatory reaction, which enhances adhesion formation, and heparin would prevent the fibrin blood clot formation, which serves as a matrix for adhesion formation. Unfortunately, none of these agents proved effective in adhesion reduction . Treatment with GNRH analogues to achieve hypo-oestrogenism seemed another promising approach, since oestrogen was known to promote angiogenesis and increase growth factor production. A recent study investigating preoperative treatment with GNRH analogues failed to demonstrate their efficacy in reducing adhesions after myomectomy . All studies have in common that their approaches to preventing adhesions had, of course, successfully been tested in animals before. Since cognitions in molecular causes of adhesion formation have led to plenty of theoretical pharmacological approaches to prevent adhesion formation, various pharmacological agents were tested in animal models with an efficient reduction of adhesions. Decreases in adhesion formation of over 90% were observed in a laparoscopic mouse model using reactive oxygen species (ROS) scavengers, calcium channel blockers, phospholipids and dexamethasone in addition to gentle tissue handling, 4% oxygen in the pneumoperitoneum and low temperature . Non-steroidal anti-inflammatory drugs, antihistamines, growth factor inhibitors and vitamin E were among the agents found to be effective in animal models. Even honey was investigated. The list of theoretical options for adhesion prevention is long, and hence the pharmacological agents may be a promising approach for the future. However, to date no effective pharmacological agent has become available for human use . The approach for non-pharmacological agents is to separate the injured tissue from the surrounding organs and the abdominal wall throughout the time of peritoneal healing, i.e. the critical time for adhesion formation. Anti-adhesion agents can be categorised into two groups: site-specific agents forming mechanical or gel barriers and broad-coverage fluid agents . A problem encountered with the first two agents is the necessity to decide intraoperatively where adhesions are likely to occur and, consequently, where to place the agents. The decision may be easy to take when there is only one injured site, as in myomectomy, but may be much more difficult in surgical patients with severe endometriosis. Thus, in the latter case, fluid agents are appropriate which are injected in the peritoneal cavity and remain there for a limited period of time. Due to these differences between agents, it is important for every surgeon to be familiar with the main characteristics of anti-adhesion agents and the limitations to their use. Interceed ® (Gynecare, Ethicon, a Johnson & Johnson Company, Somerville, NJ, USA): Interceed® is an oxidised regenerated cellulose membrane placed over a suture or a deperitonealised area. No sutures are required to keep Interceed® in place; slight moistening after positioning a single layer will make it adhere to the injured site, where it is absorbed within 4 weeks . Interceed® has been shown to be effective in various studies, and significantly reduces adhesion formation even in severe endometriosis . Efficacy is limited if complete haemostasis is not achieved, though a modification of Interceed®, TC 7, was effective in a rodent model even in the presence of blood. Nevertheless, in practice, it is necessary to achieve meticulous haemostasis, as recommended by the manufacturer, before applying Interceed®, because otherwise adhesion reduction will not be achieved [41, 43]. Interceed® can be used in laparoscopy easily . Seprafilm ® (Genzyme, Cambridge, MA, USA) Seprafilm®: is a hyaluronate-carboxymethyl cellulose membrane, which is placed over a suture or an injured area without stitches and remains in place for 7 days. In contrast to Interceed® no loss of efficacy in the presence of blood has been reported. Several studies have demonstrated the efficacy of Seprafilm® mainly in general surgery, especially bowel surgery . Seprafilm® is safe with the limitation that there is a risk of anastomotic leaks if a suture of a fresh bowel anastomosis is wrapped with it . In gynaecological surgery, the efficacy of Seprafilm® has also been demonstrated for some procedures [47, 48] but it is not easy to use in all procedures. Seprafilm® is fragile and therefore difficult to handle particularly in laparoscopy. However, some authors have successfully used Seprafilm® in laparoscopy [46, 49]. SprayShield ® /SprayGel ® (Covidien BioSurgery, Waltham, MA, USA): SprayShield® is a synthetic polyethylene glycol solution which is sprayed over the affected area where it remains for approximately 5–7 days. After that period, it is degraded and absorbed. It consists of two components which react immediately on contact with the tissue to form an adherent layer. One of the components contains a blue food colourant, so there is an intraoperative visualisation of where SprayShield® was used [50, 51]. Efficacy data are available only for the earlier formulation of SprayShield®, SprayGel®. However, the two agents differ only in minor details, including a modification of the polyethylene glycol, the use of methylene blue in SprayGel® and faster absorption of SprayShield®. In the case of myomectomy a reduction of adhesion formation was demonstrated for SprayGel®, but only a small number of patients were investigated . Further research is needed to evaluate the efficacy of SprayShield® in multicentre randomised controlled trials. Intercoat ® /Oxiplex/AP (FzioMed, Inc., San Luis Obispo, CA, USA): Intercoat® is an absorbable gel composed of polyethylene oxide and sodium carboxymethyl cellulose. Functioning as a mechanical barrier during the healing process, Intercoat® is applied as a single layer at the end of the procedures. Since most of the available anti-adhesion agents were difficult to use in laparoscopy, Intercoat® was developed especially for laparoscopic use. Randomised clinical trials of Intercoat® in laparoscopic adnexal surgery and endometriosis surgery have demonstrated the agent’s safety and efficacy [53, 54]. Hyalobarrier Gel ® (Fidia Advanced Biopolymers, Abano Terme, Italy): Hyalobarrier gel is a highly viscous auto-crosslinked hyaluronate used to separate organs and tissue after surgery. The use of hyaluronic acid agents may decrease adhesion formation and prevent the deterioration of pre-existing adhesions . CoSeal ® (Baxter Healthcare Corporation, Deerfield, IL, USA): CoSeal® is a resorbable hydrogel consisting of two polyethylene glycol polymer solutions which are mixed together when applied during surgery. The technology is similar to that seen with SprayShield® but in CoSeal® the polyethylene glycol esters have a different isomer structure. CoSeal® is long available for preventing adhesions in cardiac surgery where its efficacy has already been proved. First researches in women undergoing myomectomy demonstrated safety and efficacy of CoSeal® in abdominopelvic surgery [40, 55]. Adept ® (Icodextrin 4% solution; Baxter Healthcare, Deerfield, IL, USA): Adept® is a clear solution containing icodextrin at a concentration of 4%. Icodextrin is an α-1-4-linked glucose polymer and is responsible for the longer absorption time of Adept® compared to the previously used crystalloid instillates like lactated Ringer’s solution, which is rapidly resorbed by the peritoneum and therefore not suitable for adhesion prevention. At the end of a procedure, 1,000 ml of Adept® is instilled into the abdominal cavity. Instillates separate the injured tissue by hydroflotation and should stay in the abdominal cavity during the first days after surgery. Adept® is absorbed by the lymphatic system within 4 days and is metabolised by alpha-amylase to lower molecular weight oligosaccharides. In a large randomised controlled trial Adept® showed significantly higher adhesion reduction compared with lactated Ringer’s solution. An adverse effect of Adept® is the labial or vulval swelling which mostly resolves after a short period. Adept® is contraindicated in patients with allergy to cornstarch-based polymers, maltose or isomaltose intolerance or with glycogen storage disease. However, all in all Adept® is a safe, effective and affordable anti-adhesion agent [56, 57]. Adhesions are an important problem in surgery and have to be seen as an inevitable risk of abdominal and pelvic procedures. Knowing the consequences which come along with adhesions is important for every surgeon. Adhesions are the subject of successful medico-legal claims, mostly due to intraoperative events such as bowel injury. Insufficient preoperative patient education about the risk of adhesion formation and intraoperative complications associated with adhesions is an important reason for successful lawsuits. Thus, every patient who undergoes procedures which can lead to adhesion formation or can be complicated by adhesions should be informed about the associated complications like infertility, small bowel obstruction, chronic pelvic pain and bowel injury . Recent research into the patient’s awareness in a German women’s university hospital has demonstrated that at present <50% of patients, undergoing procedures with a high risk of adhesion formation, were made aware about this risk prior to surgery. In the UK, the percentage of informed patients was even lower with 27 and 8.5%, respectively. It was assumed that one reason for this difference between the German hospital and the UK hospitals could be the way of getting informed consent. In the UK hospitals, no written form was used for the consent process so the surgeons might forget to mention adhesions more often. Nevertheless, in the German hospital, despite the fact that adhesions were a part of the written informed consent form, the percentage of informed patient was also not adequate. An additional written informed consent form where adhesion formation and their related complications are described could be a more effective way to point out the impact of adhesions. If this additional form would be part of the regular patient educations, neither the surgeons would forget to mention it nor the patients would be unaware of this important issue. The main source of patient information about adhesions is their physicians, therefore, the pre-operation discussion is the most powerful resource for patients education that we can use [59, 60]. A further remarkable finding of one of the above-mentioned research was that only 8% of the patients (5% in the UK, respectively) were aware of possibilities for prevention and therapy of adhesions. Hence, it is important for every surgeon to adopt anti-adhesion strategies in their daily routine especially when adhesions are expected and could affect future fertility and procedures, so they are able to inform their patients adequate about the different possibilities of adhesion prevention strategies. Another recent research into the awareness of adhesions in German hospitals has demonstrated that surgeons are interested in the topic and are well informed about adhesion formation, but that adhesion prevention strategies are nonetheless not widely used. Uncertainty as to whether an agent is effective or not is an important reason for the reserved use of anti-adhesion agents . At present the costs for the available anti-adhesion agents are not reimbursed by the health system regularly which might be due to concerns about the efficacy. When considering a possible reimbursment of anti-adhesion agents the cost of an anti-adhesion agent has to be set against the extensive costs associated with adhesion-related complications like, for example, prolongation of operations in further surgeries, readmissions due to complications or diagnosis and treatment of impaired fertility. By sensitising our patients for the important issue of adhesion development and strategies to avoid adhesions, a higher demand for adhesion prophylaxis by patients will arise and this could potentially lead to reimbursment by the health system 1 day. The ideal anti-adhesion agent needs to be efficient, safe, easy to use and cost effective. Wilson developed a model for the cost effectiveness of an anti-adhesion agent based on the data from the SCAR studies. It is postulated that an agent which costs €130 and could reduce the adhesion-related readmissions about 25% in one year in the UK could save more than €40 million over a 10-year period . Therefore it is necessary to take anti-adhesion agents and the economic data on their usage into consideration to reduce the burden on the health care system . There is a growing literature with inconclusive data on the efficacy of anti-adhesion agents. This is an enormous problem for the surgeon. The Cochrane Menstrual Disorders and Subfertility Group reviewed barrier agents as well as fluid and pharmacological agents for adhesion prevention tested in randomised controlled trials. Not all the currently available agents were included in the review and reliable statements regarding efficacy were only possible for agents that have been available for a long time. Of the above-mentioned agents, only Interceed® and Seprafilm® have been studied with regard to efficacy. Adept® and SprayShield® were not assessable due to the limited data available. Pregnancy rate or pain relief was not used as endpoints in most studies, though it is precisely the evaluation of these clinical outcome parameters that defines the true success of adhesion prevention [25, 63]. Other recent research directly compared the most common anti-adhesion agents and demonstrated that the reduction in adhesion formation obtained with the most common agents was unsatisfactory. This shows once more that, despite the studies in a rodent model, further research on the available agents is necessary to enable use of these agents without concerns in daily routine . To date, only a small number of the various available anti-adhesion agents have been studied in randomised controlled trials. In the future, it will be necessary to test more agents in large trials with endpoints such as pregnancy rates or decreasing incidence of adhesive SBO . A consistent study design is necessary to enable comparison of studies in systematic reviews. Although large-scale blinded randomised controlled trials are difficult to conduct, they are important for validating the efficacy of anti-adhesion agents. At present, it is difficult to determine the extent to which an agent is effective. This could be a challenge for the future. Knowing the real efficacy of an agent will make it easier for surgeons to choose the appropriate agent in their daily routine. Whereas the available agents have been demonstrated to effectively adhesion formation in clinical studies, none of them are able to reduce adhesion formation to a minimum. To achieve this, in combination with good surgical technique, will be the aim in the development of anti-adhesion agents in the future. Further research will reveal new insights into the pathophysiology of adhesion formation and lead us to fully understand how adhesions form, what processes influence them and which patients will develop them. The possible combination of mechanical barriers and pharmacological agents is another promising field for future research. The Expert Adhesion Working Party of the European Society of Gynaecological Endoscopy (ESGE) in 2007 published guidelines summarising the actions to reduce adhesions that should be adopted by all surgeons to fulfil their duty of care to their patients (Table 2). Rudy Leon De Wilde is a consultant to SHIRE, BAXTER, COVIDIEN, and NORDIC.